A new machine for Bitcoin Mining called "Approximate Hardware" would make Bitcoin mining easier. Bitcoin had gained tremendous popularity over a few couple of years among the virtual currencies due to its decentralized principle. Mining a single Bitcoin is not an ice cake walk, as it requires an enormous amount of computing power to dig Bitcoins. 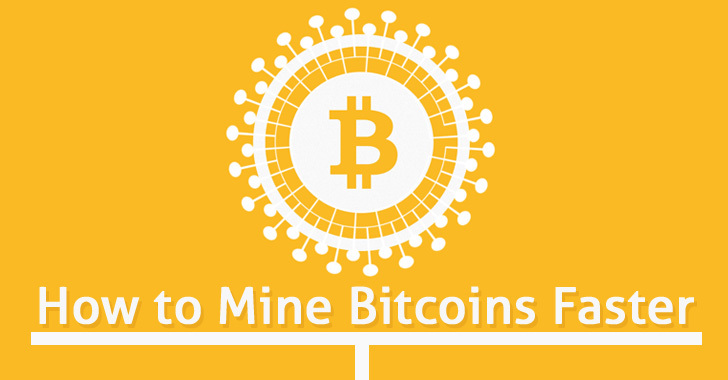 To overcome this issue and mine Bitcoins faster, security researchers has conducted a study and made a new loophole in the mining process in an effort to mine the Bitcoins easily. How to Mine Bitcoins Faster? A team of Illinois-based researchers led by Indian Scientist, Rakesh Kumar, has designed a new hardware named "Approximate" that could reduce the pain of Bitcoin mining by 30 percent. False Positives where an error is not present but notifies a fake error. False Negatives where an error is present but does not notify the real error. Therefore, by taking the advantages of imperfections in the system, the process of Bitcoin mining could get easier than the classical methods used today. Approximation system is one such hardware that scans for the errors to make the mining somehow, simple. "Bitcoin mining is a particularly good candidate for approximation because its parallelism mitigates error propagation and a built-in verification system detects any false positives," reads the paper. "Furthermore, we have identified adders as beneficial choices for approximation in hashing cores in a mining ASIC." Dr. Kumar also had expressed that his team's goal is not building a perfect Bitcoin mining hardware, but their research work would inculcate to design much better mining hardware in the near future. Kumar and his team, including Matthew Vilim and Henry Duwe, will present their work in a talk titled, "Approximate Bitcoin Mining," at the Design and Automation Conference (electronic design) in June 2016.